Lewis Rice is pleased to announce that Lynn A. Hinrichs and Bridget G. Hoy have been elected to the firm’s Management Committee. In her 28 years at Lewis Rice, Lynn has fine-tuned her knowledge in a variety of health care, insurance, and employee benefits matters. In her insurance practice, Lynn has extensive experience with acquisitions, strategic alliances, insurance holding companies and regulatory compliance, and she routinely advises clients on a wide range of employee benefit matters. Lynn is a member of Lewis Rice’s Diversity & Inclusion Committee. 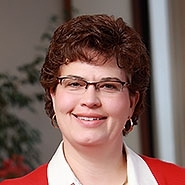 Outside of her work at Lewis Rice, Lynn serves on the Midwest Region Board of Directors for INROADS, Inc., and was formerly on the Development Board for KidSmart, Inc.
Bridget’s legal career spans almost two decades and has primarily focused on contract, consumer fraud and intellectual property litigation for businesses. She has litigated and tried cases locally and around the country. 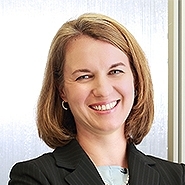 A U.S. Air Force veteran, Bridget’s appointment to the management of Lewis Rice comes after multiple leadership positions she has held in the legal community, including past Chair of the Professionalism and Ethics Committee of the Bar Association of Metropolitan St. Louis and former President of the Women Lawyers’ Association of Greater St. Louis. Bridget is currently a Board Member of the Ronald McDonald House Charities of St. Louis and will serve as its Treasurer starting in 2019. Bridget also serves as the Vice Chair of the Firm’s Diversity & Inclusion Committee and was a former member of the Recruiting and Associate Development committees. According to the National Association of Women Lawyers, the national average of women in firm governance/leadership roles has doubled in the last decade. Hinrichs and Hoy represent the second and third females appointed to the 12-person Management Committee. They join Marian “Bo” Mehan who has served on the Committee for more than 20 years. Throughout the Firm's history, Lewis Rice attorneys have made excellence the foundation of their practice. Founded in 1909, more than a century of service gives the Firm the experience, resources and tools to serve their clients' dynamic needs. A diverse team of more than 160 attorneys provides counsel and solutions for the challenges facing local, regional and national businesses, as well as individuals and families. Lewis Rice maintains offices in downtown St. Louis, suburban Town & Country, Jefferson City, Missouri and Edwardsville, Illinois. The Firm also has offices in downtown Kansas City, Missouri and suburban Overland Park, Kansas.